Fishing in the Adirondacks offers some of the best Pike fishing around! 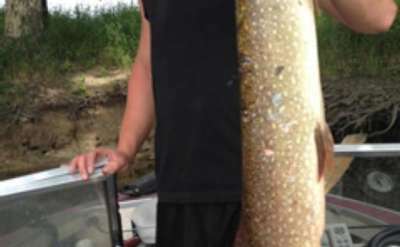 Northern Pike have been known to grow to over 40 pounds and are relatively easy to catch. 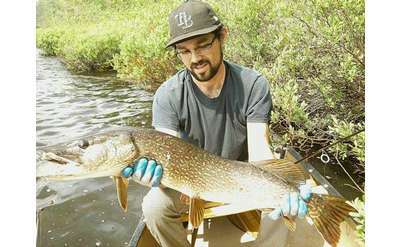 Find more information on Pike fishing season like minimum length, daily limit and more. Meacham Lake is a an ideal site for fishing and camping experiences. The water holds many species of fish and wildlife and for visitors to interact with. Harris Lake is an easy access fishing spot in the northwestern part of the Adirondacks. Eagle Lake is a smaller body of water but offers great opportunities for smallmouth bass, northern pike, and brown trout. 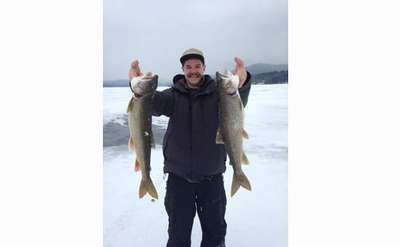 Long Lake is a 14 mile stretch of water that is a great fishing for anglers in the Adirondacks. Black Lake stretches 20 miles and is a great place to fish for largemouth & smallmouth bass, yellow perch, crappies, bluegills, northern pike, and walleye. The St. Lawrence River holds large populations of various species of fish and has numerous access points. Black River is a great waterway for anglers in the Adirondack to land quality size fish in the Adirondacks of New York.